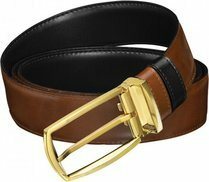 This menswear accessory whose main function is to hold up your trousers, can also be the item that defines its wearer as stylish and refined or completely ruin a look. 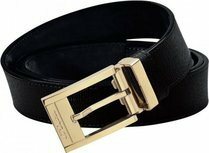 Width: As a general rule, in formal occasions a narrow belt with a small buckle is the best choice. 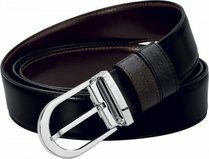 Wider belts and large belt buckles are more for casual use. 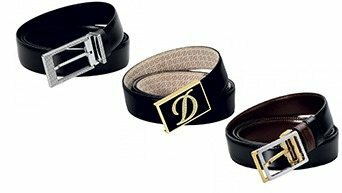 Material and colour: Formal belts for men are made of leather, and black is the predominant colour, although depending on the outfit, some men opt for dark brown. Either way, the belt must always match the shoes. The belt buckle is usually made of metal, mainly silver or gold in colour. 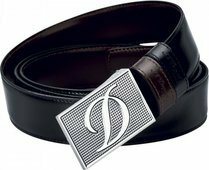 It can be etched, textured, with or without inlaid stones and there are even buckles a different design on each side that make a reversible belt even more versatile, effectively turning one belt into two distinct models. Free shipping from £91. For order value under £91 additional shipping costs apply. Strikeout prices are suggested retail prices.